Check out these funny Nerd Merit Badges. 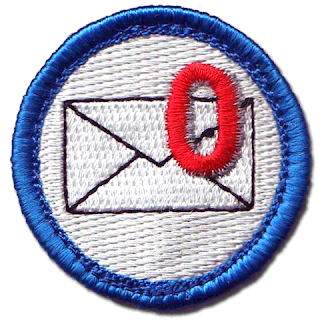 I definitely deserve the "Zero Inbox" badge, not because of the lack of emails I get but because of..well...my minor obsessive compulsive disorder! I just cant leave any unread, unorganized emails in my inbox!!! !